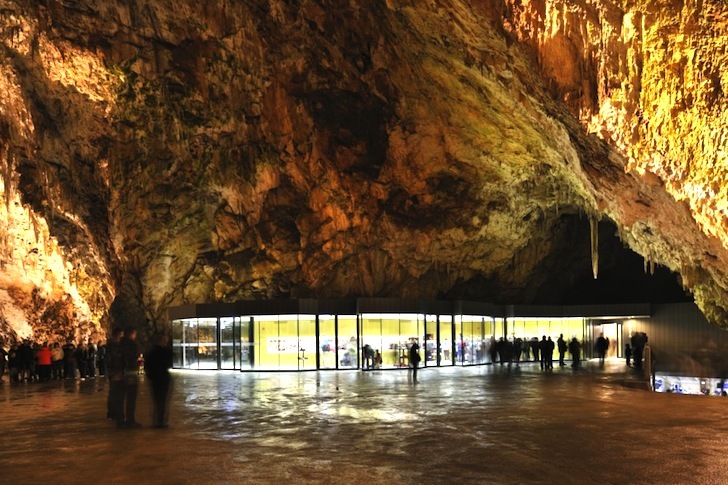 Slovenia's Postojna Cave Concert Hall looks more like the batcave than a theater and a post office, doesn't it? 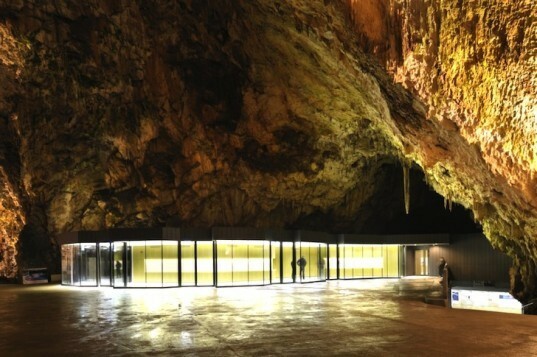 One of the world's most exciting acoustic destinations for musicians and spectators alike, the underground space was renovated by Studio Stratum and now features a transparent retail area, an exhibition hall, and the world's first post office in a cave. The project's green building features include a unique heating and ventilation system, and the loos have received a pioneering upgrade that all but obliterates undue harm to the sensitive natural environment. The original Postojna concert hall was partially demolished and the renovation constructed in its place. It was important that materials could be transported via a cave train and that they could be manually fitted. And then for maximum aesthetic effect, the entire S-shaped renovation was wrapped in glass to emphasize the cave’s glory – especially at night. Perhaps the most exciting new development is a cutting edge biological treatment facility that has been installed within the cave to handle human waste. Not only does it slash all of the previous troubles of leakage and contamination in a very fragile ecosystem, but it demonstrates how a little bit of ingenuity combined with will can solve even the most tricky challenges. The upgraded facility far exceeds the environmental performance of the old hall and it looks amazing too!